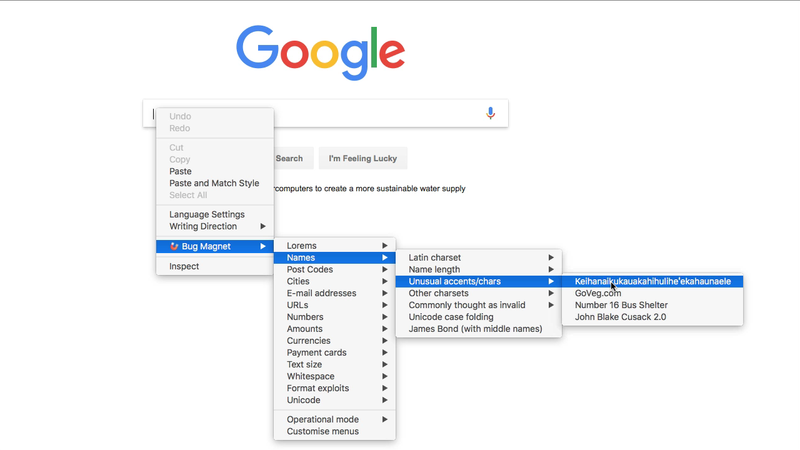 Just right-click on any editable item on the page and you'll see a Bug Magnet submenu. Click an item there, and it will be inserted into the editable field. (note: this feature does not work in Firefox due to a pending bug with privileges, and will be introduced as soon as the bug is fixed). 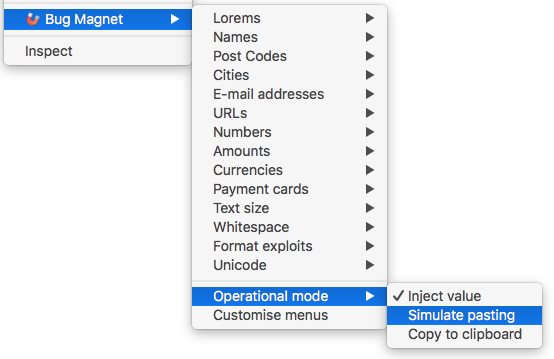 Simulate pasting: try to copy/paste the value into the active field. This will replace the currently selected part of the content, or inject the value at the cursor position. It is also useful if you want to trigger additional custom events in the application after the content changes. Copy to clipboard: do not change the content of the field, just copy the value into the system clipboard, so you can decide what to do with it.